Remember Allison and Stu’s lake wedding? We’re happy to share that the girls over at Wedding Chicks wanted to feature the wedding on their blog. 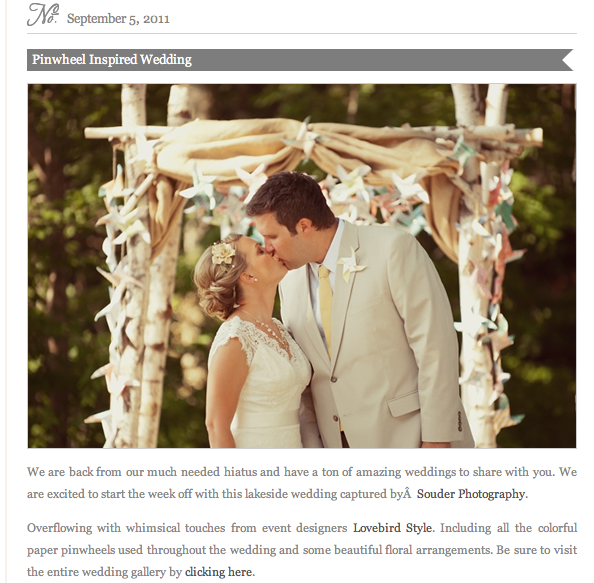 We are so honored that our first wedding got published! Thanks to Artisan Flowers for the beautiful flower arrangements and Allison’s stunning bouquet also featured on Wedding Wire. And thanks to Souder Photography for telling their story through all the wonderful images. Oh this is so beautiful!! Congrats on getting published - can't wait to go check it out! !